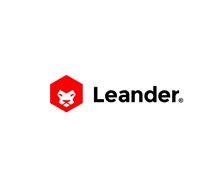 Leander Games are an independent company who aim to deliver innovative slot games. Founded in 2009, they operate in 26 different languages and various currencies. Based in Buenos Aires (Argentina), they have developed some great games including branded games based on the rock group Megadeth and Spandau Ballet’s Gold hit song. They may not be as well-known as some of the big boys like IGT, NetEnt or WMS but their portfolio of slots is ever increasing providing quality. You will notice that their slots are available at various online casinos but tend to get lost when sat next to the big releases from the other software providers. I really like playing some of the newer releases like Octopus Kingdom and Khepri are highly recommended as well as the branded titles already mentioned. Leander Games’ titles are graphically rich, have superb animations and some interesting bonus features to say the least. I would recommend you play their full range of slots at Vera & John Casino as they seem to launch their games exclusively early.